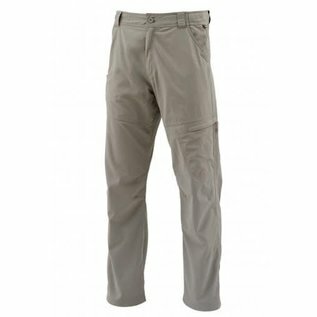 A comfy pair of pants that scare away insects and protect you from the elements. A cloud of swarming insects is great for sending hungry fish into a frenzy, but it becomes a nagging distraction when you aren't equipped with proper protection. 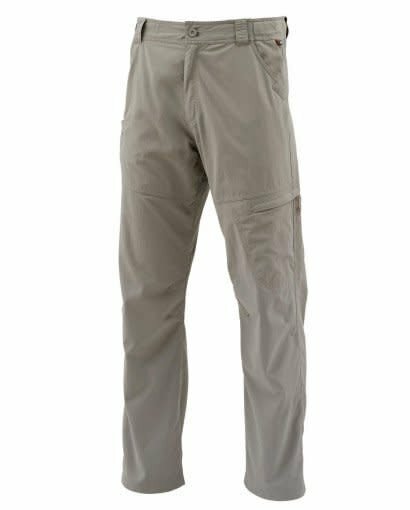 Simms' men's BugStopper® Pants eliminate the distraction with Insect Shield® that provides long-lasting insect protection. 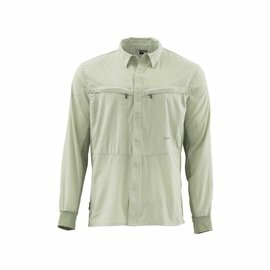 The DriRelease® build lends three levels of defense with sweat-wicking, water-resistant, and UPF 50 sun blocking fabric. Side and thigh pockets supply a wealth of storage options. An adjustable waist and pre-shaped knees create a contoured fit that moves with you. 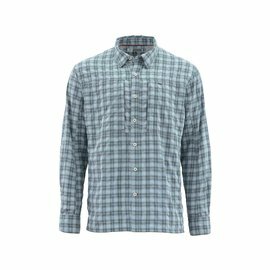 Water‐resistanti, wicking, anti‐odor & UPF 50. 1 zippered thigh pocket & 1 cell phone pocket. Adjustable waist & articulated knees.